In the year 2030, a powerful radio transmission originating from Earth will arrive at a potentially habitable exoplanet located approximately 12.4 light years away. Should any alien intelligence be there to receive it, they’re in for quite a treat: This binary stream of data contains short musical clips from some of the world’s best electronic musicians. It’s part art, part science—but considering we know virtually nothing about extraterrestrials, should we really be calling attention to ourselves? For three days in October, organizers of the Spanish Sónar electronic music festival pointed the 105-foot-wide European Incoherent Scatter Scientific Association (EISCAT) radio antenna towards the sky and sent bursts of radio signals towards GJ 273—a red dwarf star (sometimes called Luyten’s Star) that hosts two known planets, one of which, GJ 273b, may be capable of supporting life. With the help of astronomers from METI (Messages to Extraterrestrial Intelligence) and the Institute of Space Studies of Cataloniar (IEEC), the Sónar team beamed digitally encoded clips of music from such artists as Autechre, Holly Herndon, Jean-Michel Jarre, Modeselektor, Matmos, Kode9, and Laurel Halo. In April 2018, they’ll do it again, sending 15 more tracks from some of the 33 artists who are taking part in the festival. You can listen to the 10-second-long tracks beamed during the first transmission here (Niva Kraviz’s is my favorite, and shame on Jarre for rehashing an old clip from Oxygène). Called Sónar Calling, the project is a “celebration, an artistic-scientific experiment and a collective reflection open to humans and extraterrestrials,” according to the festival website. The point of the exercise, aside from attracting the obvious publicity and selling more concert tickets, is to promote “the first contact of humanity with an extraterrestrial intelligence.” Sounds flowery, but there’s some actual science going on: Unlike the traditional, passive SETI approach of listening for alien radio signals, METI is trying to make actual contact with ET. Which leads me to the obvious question: Is all this such a good idea? Sure, this exercise sounds harmless and fun, but it’s not a zero-risk endeavor. Aliens may very well be listening, and we have no idea how they might respond. The whole thing seems a bit premature, possibly even reckless. But Douglas Vakoch, president of the not-for-profit METI, doesn’t see it that way. To him, Sónar Calling is a good way to test and refine some basic interstellar communication principles, and educate the public about the METI concept. It’s also a way to see if aliens are actually out there. “We’re testing one solution to the Fermi Paradox called the Zoo Hypothesis,” Vakoch told Gizmodo. “According to the Zoo Hypothesis, perhaps extraterrestrial intelligence is much more widespread than we usually think, and even nearby stars are populated with advanced civilizations. In short, they already know we are here, but they are simply watching us, like we watch animals in the zoo.” Vakoch’s hope is that we send a message that’s interesting enough to warrant a response from an extraterrestrial civilization. The other point of the exercise, says Vakoch, is to develop a process that can be replicated, over and over again, with multiple stars. The Sónar Calling project is reminiscent of previous attempts at interstellar communication, including the Aricebo Message (1974), Russia’s Cosmic Call (1999), the Lone Signal Project (2013), and to a lesser extent the Golden Record on NASA’s two Voyager probes. But these efforts were one-off signals, and with no follow-up. In addition, the transmission designed by IEEC and METI scientists is “propaedeutic” in nature, meaning that each section of the message contains information about how to decode the next section. According to the Sónar Calling team, a sufficiently sophisticated alien intelligence should be able to detect this transmission and perceive it as coming from an unnatural source. Music from the first transmission is now hurtling towards GJ 273b at the speed of light, and it’ll arrive in late 2030. So the earliest we could ever hope to hear a response will be in 2043. Each contributing artist had to compose and specially prepare their music for transmission. Given the very slow data transmission rate of 500 bits per second (that’s about 250,000 times slower than MP3 playback), the musicians were required to compose brief 10-second-long pieces, and at a very low digital sound quality. For the audiophiles among you, it was a PCM encoding of only eight bits, in mono, and with a sampling frequency of just eight kilohertz. No data compression was used. Each piece was preceded with a digital “tutorial” that describes the digital coding of sound waves using different frequencies and harmonics. The clips were sent from the EISCAT observatory in Tromsø, Norway on October 16th, 17th, and 18th. In terms of the risks, Vakoch believes that any civilization that has the capacity to travel to Earth to do us harm already knows we’re here, “so there is no increased risk of an alien invasion from our transmissions.” Vakoch says we have a natural tendency to think that it’s risker to do something than not to do something, so we think it’s riskier to transmit a message than not to transmit. “But when we stop and think about it, sometime it is risker not to do something,” he says. “Some people choose not to get vaccinated to prevent a serious disease, but that decision actually increases their risk of getting sick. And if enough people make that same choice, this lack of action would be devastating for public health.” Vakoch is working under the rather big assumption that contact would be ultimately good for us, and that a benign ETI could pull us from the primitive mode we currently find ourselves in. Or at the very least, that proof of alien existence might steer our cultural, social, and political values (not to mention our technological development) in a more positive direction. Of course, erring on the side of caution is not always a bad thing. As Vakoch himself admits, a central aim of this project is to test a potential solution to the Fermi Paradox. But if there’s one thing the Great Silence has taught us is, it’s that the Galaxy is completely empty of observable extraterrestrial intelligence. 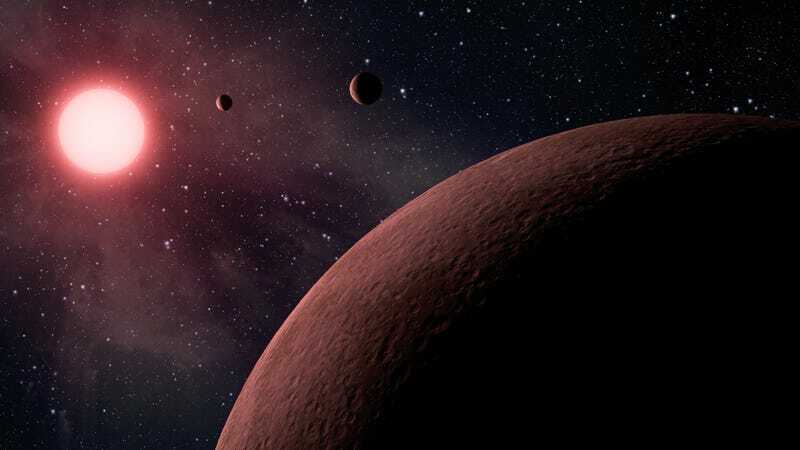 At about 13 billion years old, and measuring just 150 million light years across, a single ancient interstellar civilization could have populated every single star system in the Milky Way by now, and then some. The Fermi Paradox isn’t just an idle philosophical problem—it’s actually quite terrifying. There’s something going on out there that’s preventing ETIs from overtly colonizing the Galaxy. We don’t know what that “something” is, but it’s not irrational to be worried about it. Vakoch, on the other hand, says we need to be alert of our biases that lead to fear.